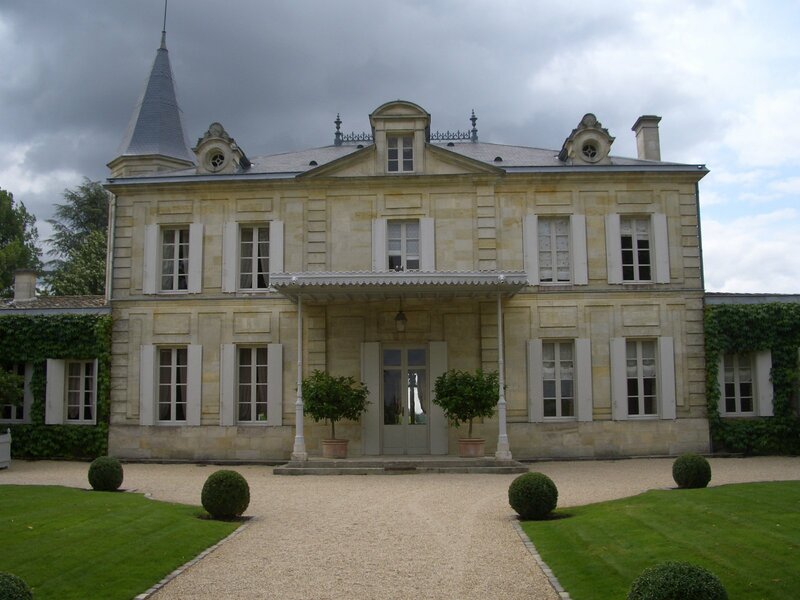 Just after my visit at Chateau Figeac on THU morning, I had scheduled a lunch for 12:00 at the neighboring Chateau Cheval Blanc. 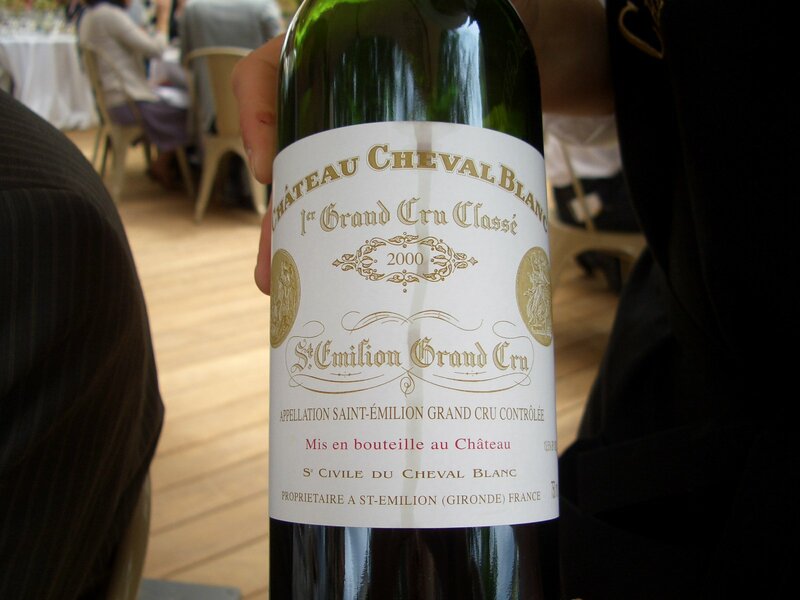 The first part of what was to become Cheval Blanc was acquired in 1832 by the Ducasse family from Chateau Figeac and increased with additional purchases in 1838. 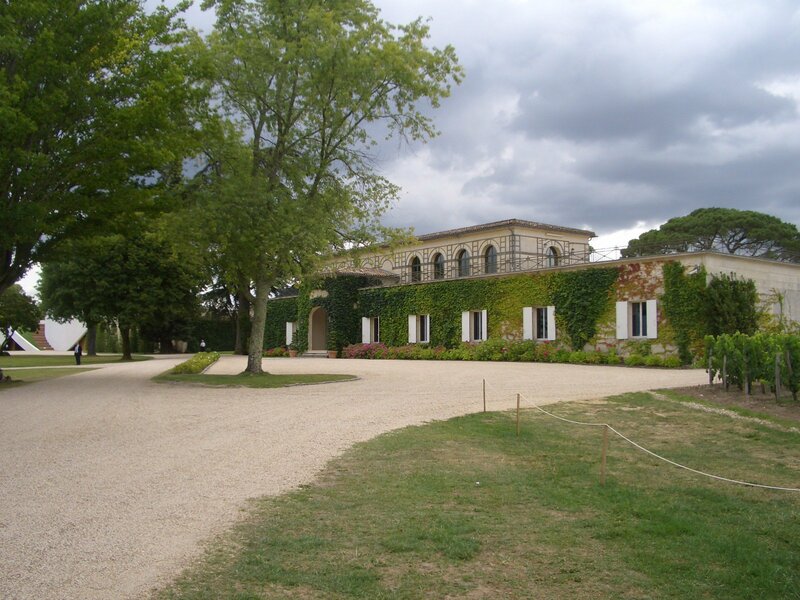 By 1871 the property owned about 41 ha of vines, the same as it has today. 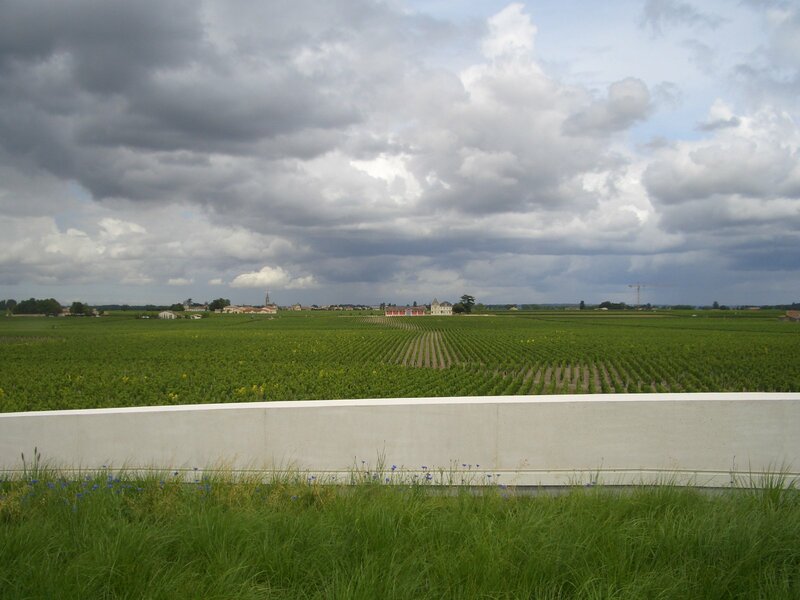 It includes two of the five gravel mounds found in Figeac, Cheval Blanc and touching Petrus in Pomerol. 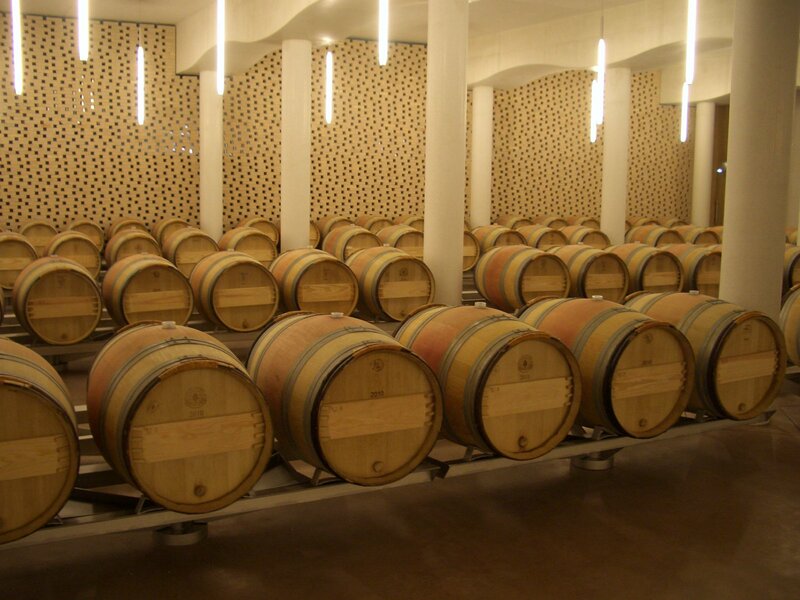 The vines are on average 30-35 years old, growing Cabernet Franc(57%), Merlot(40%), Cabernet Sauvignon(2%) and Malbec(1%). Yields are around 35 hl/ha. 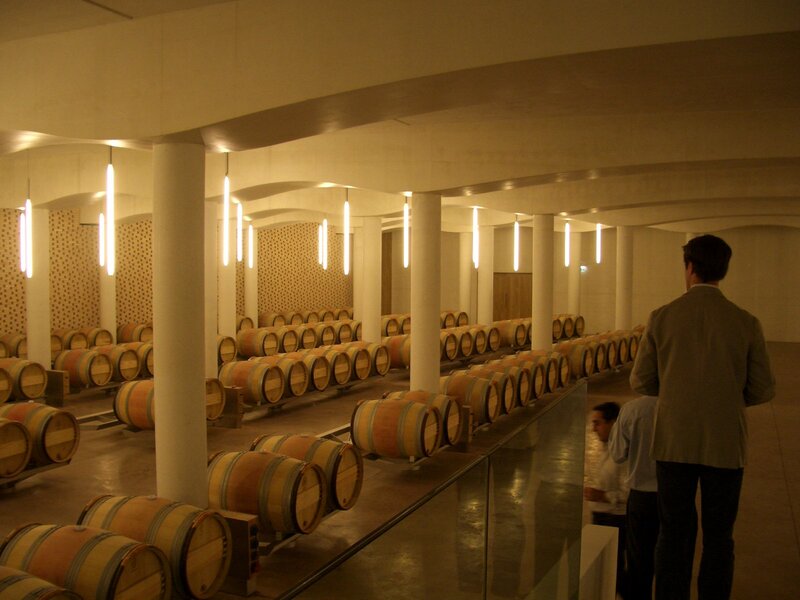 The winery produces two wines: Cheval Blanc – the grand vin(usually 6000 cases per year) aged for up to 18 months in new French oak and the second wine: Le Petit Cheval(usually 2500 cases per year) aged for about 12 months. 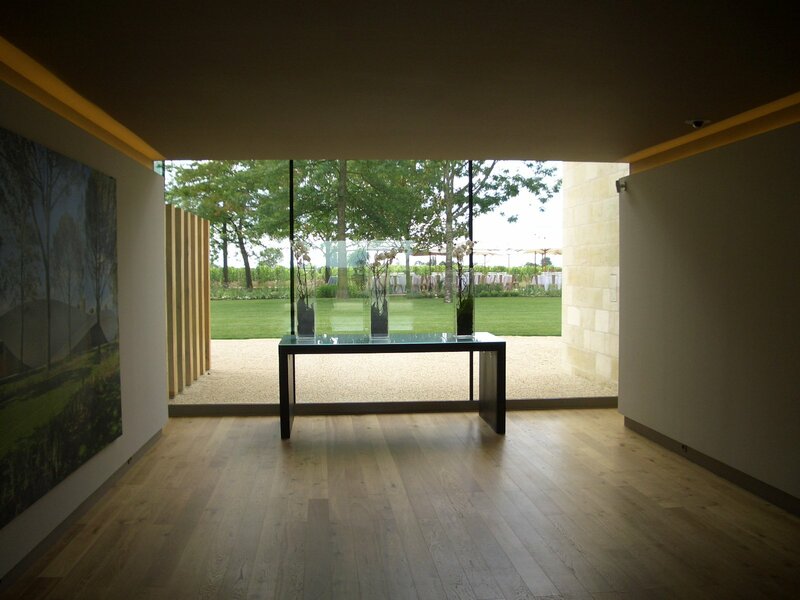 To enter the property after you exit the main road in Saint Emilion, you drive a short distance on a country road through the Chateau’s front vines. 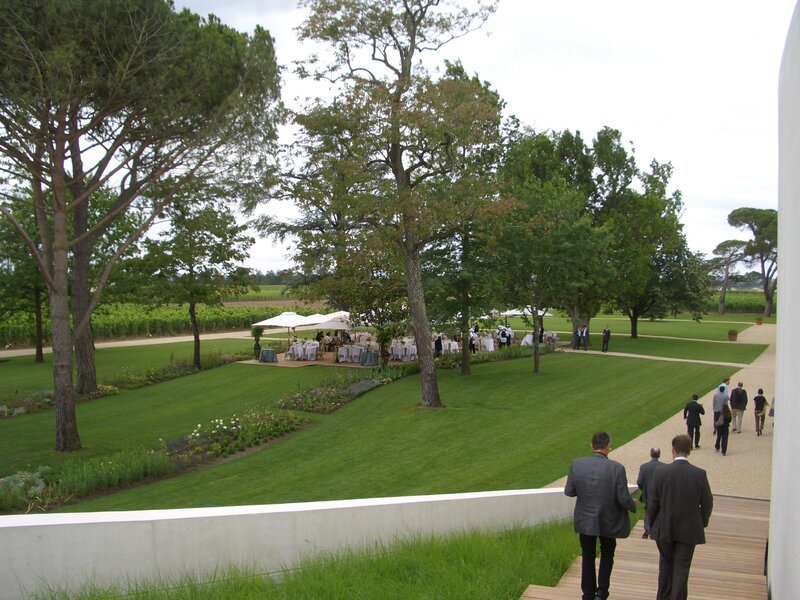 There were plenty of bodyguards located on this road to guide you to the parking lot. As I walked from the parking lot to the actual place where the party was, it was impossible not to notice the helicopter parked in front of the main house. 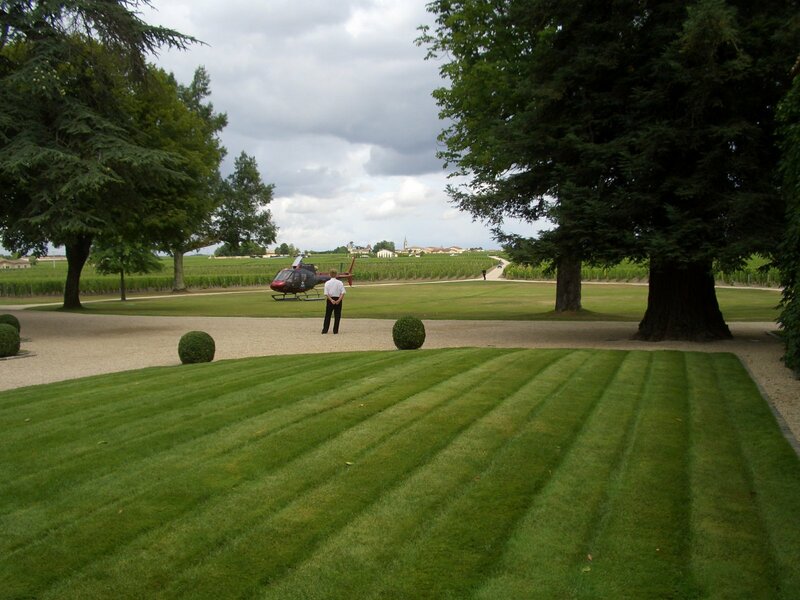 This helicopter kept on leaving and coming back, bringing guests that attended lunch. 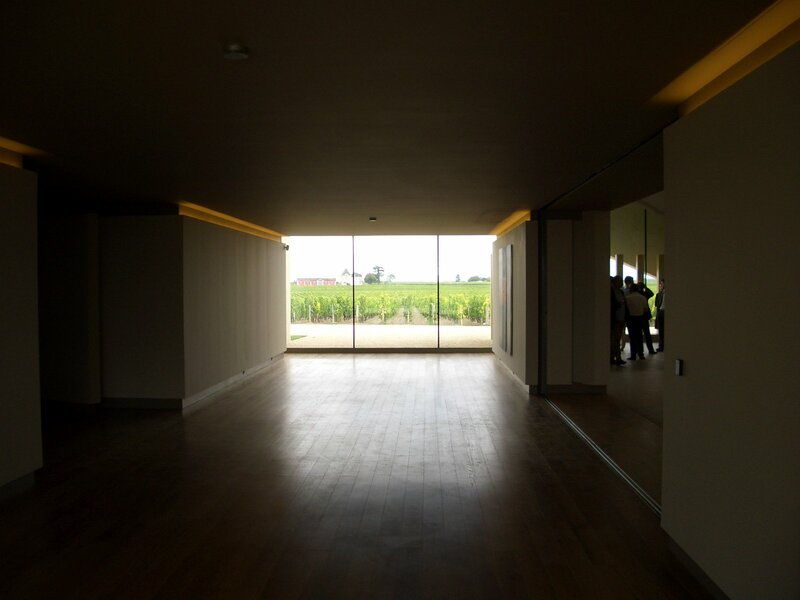 On June 9th, Chateau Cheval Blanc inaugurated their 13 Million Eur brand new green winery built by architect Christian de Portzamparc. 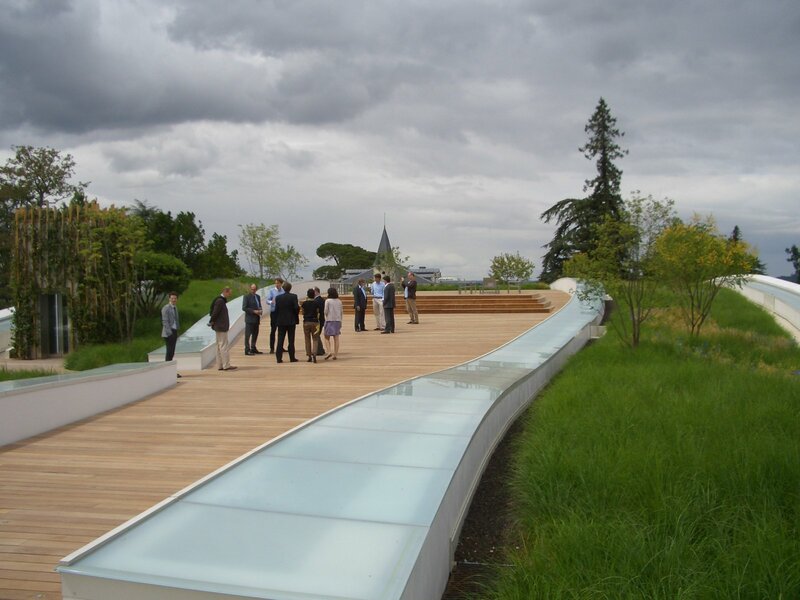 For the construction, he used a breathable material called mashrabiya for the walls to facilitate natural ventilation and subterranean cellars to minimize use of air-conditioning. 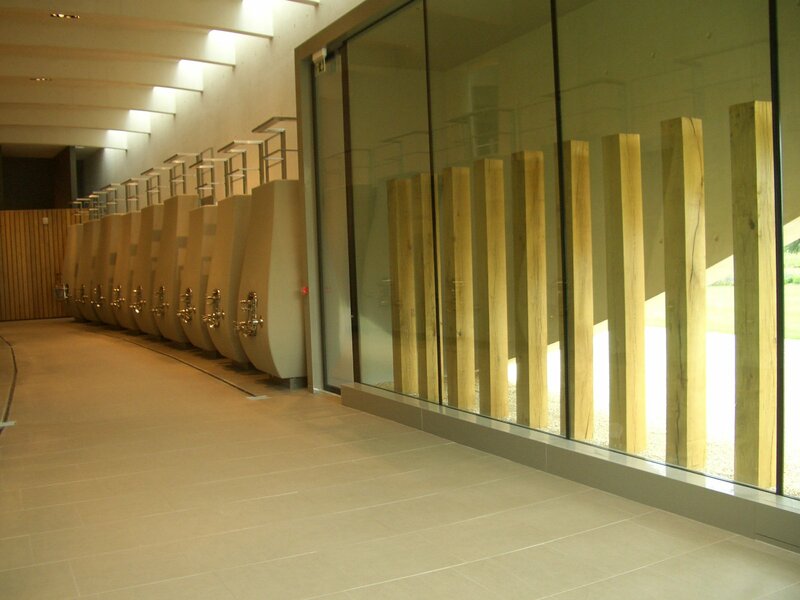 Cement tanks of varies sizes were built so that every parcel of vines can be fermented separately,in order to better monitor the quality of each vine and have a better final blend. 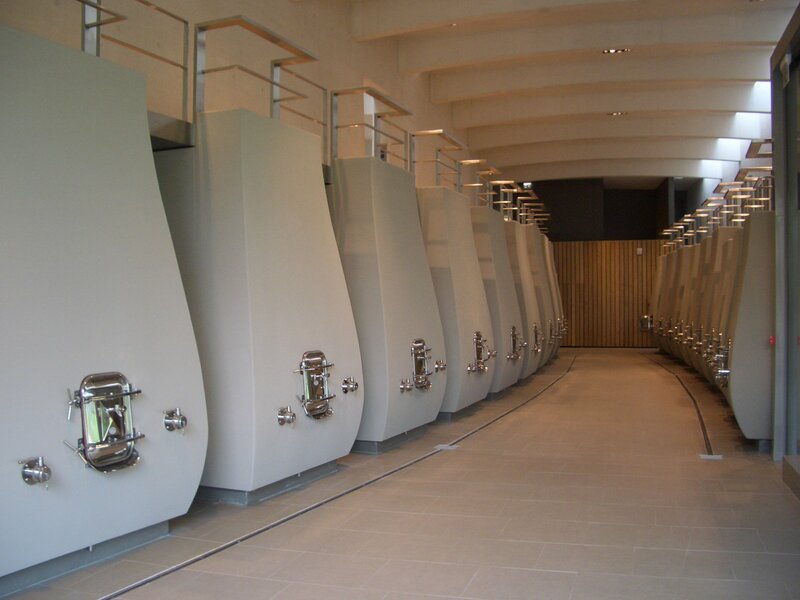 There are around 52 cement vats available now at the winery and they have about 40 parcels of vines. 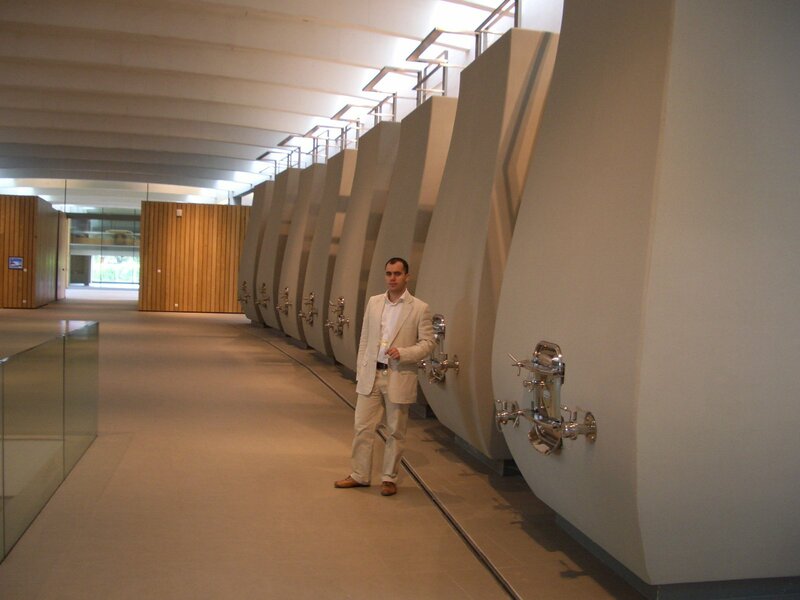 The egg shaped cement tanks were specially tailor made by an Italian producer from Friuli for Cheval Blanc. 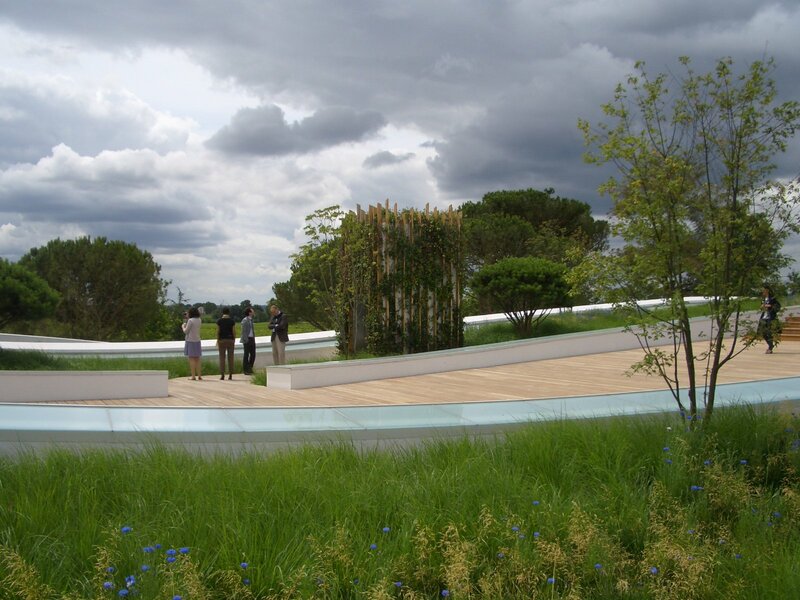 The building uses natural materials – wood, glass and cement – inside and out. 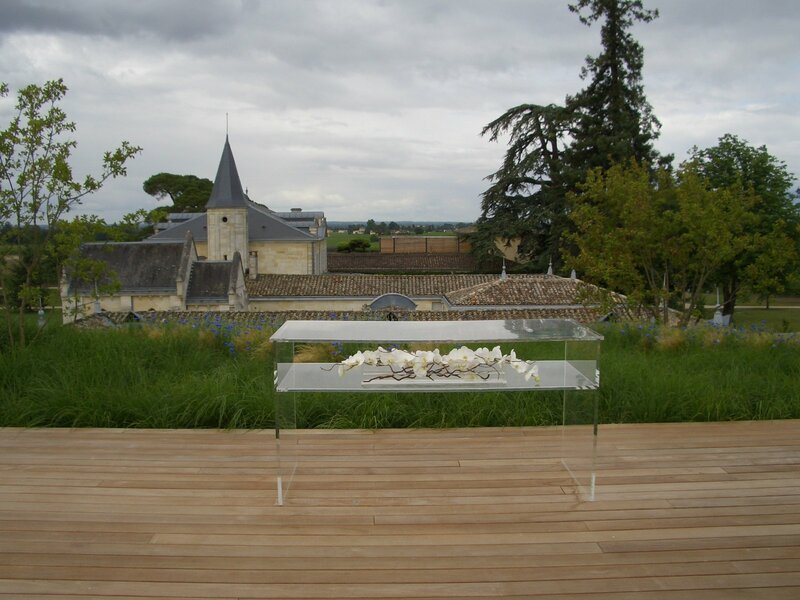 Cheval Blanc has grass and wild flowers on its roof. 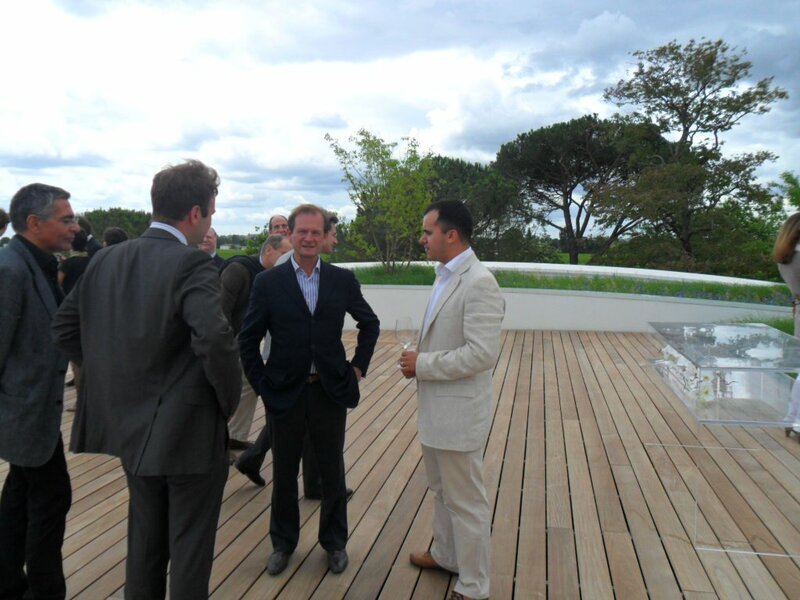 From the top of the terrace you can clearly see the building and the roof of the old property. 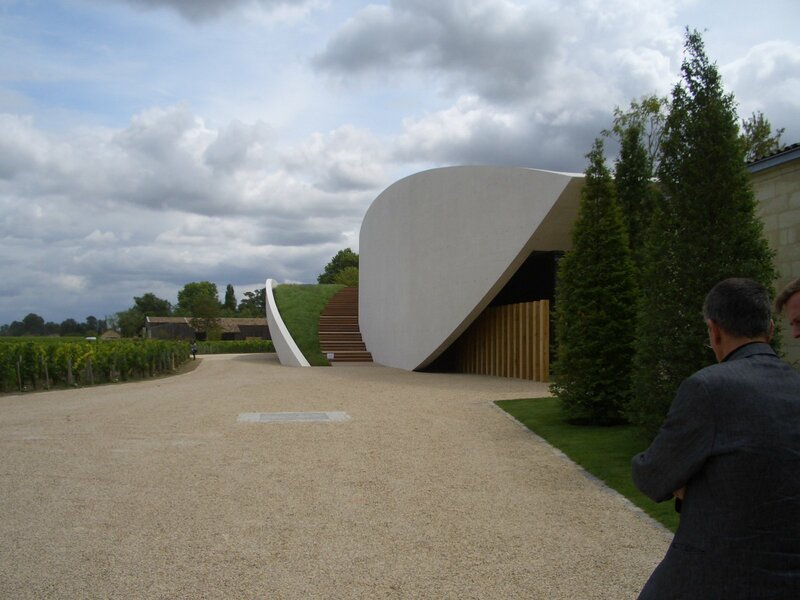 Even though it has a futuristic appearance, the design of the new building was made to merge with the old premises, the vineyards and to perfectly blend into the picture. 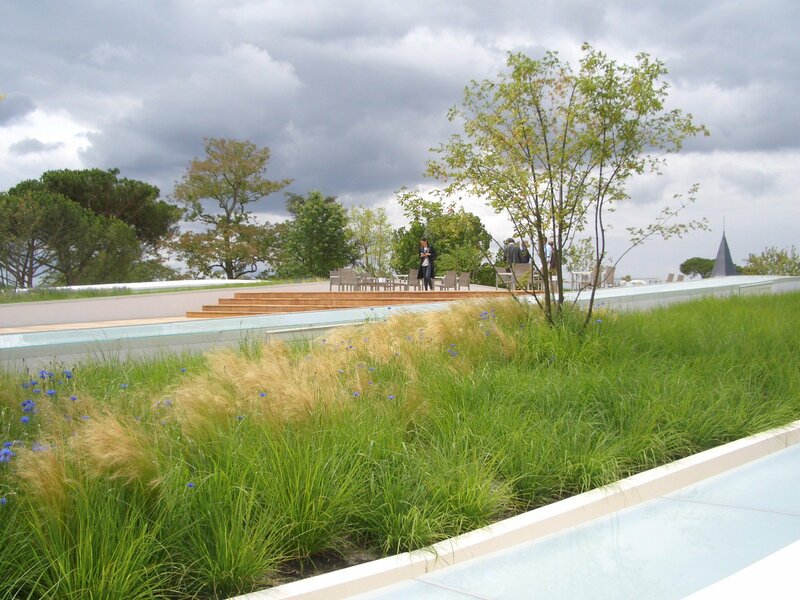 There is harmony and balance when you look at the overall property. 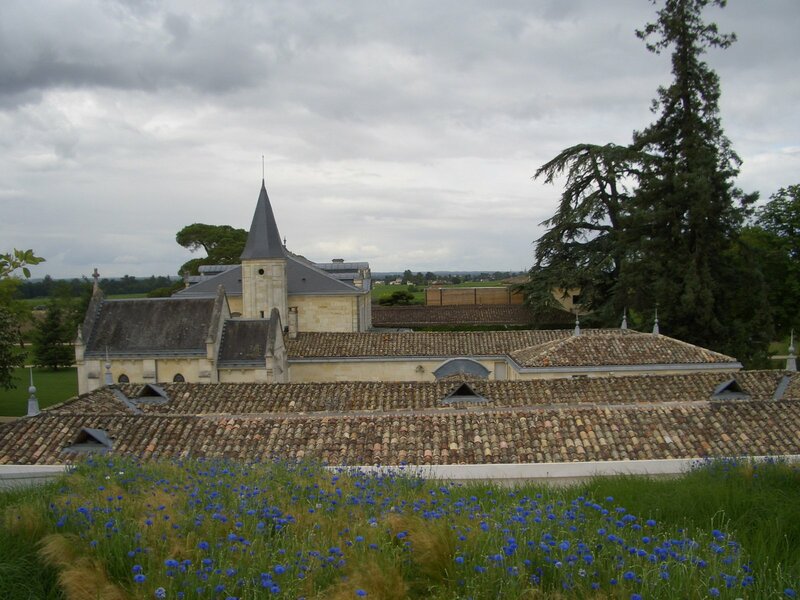 From the roof top, there is a beautiful panorama of the vineyards surrounding the property and also a view of the neighboring Chateau’s. 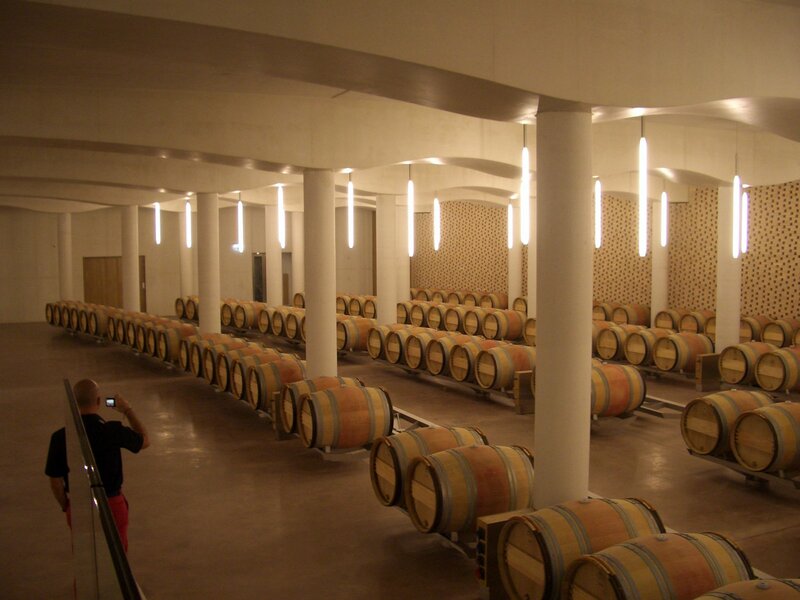 Down in the cellar, where the wine is aged in small oak barrels, clay bricks were made to maintain the same new-old appearance and save energy. 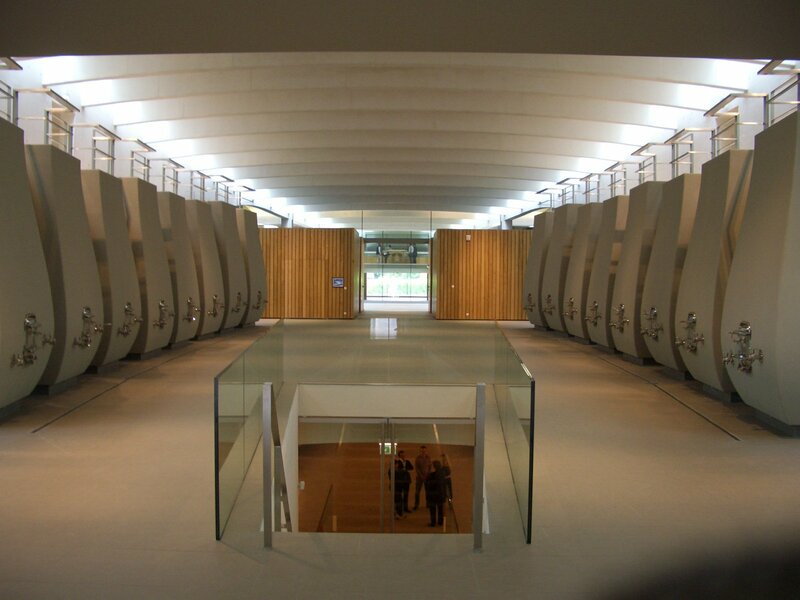 An absolutely beautiful winery built with a perfectionist attention to details and nothing too flashy or out of place. 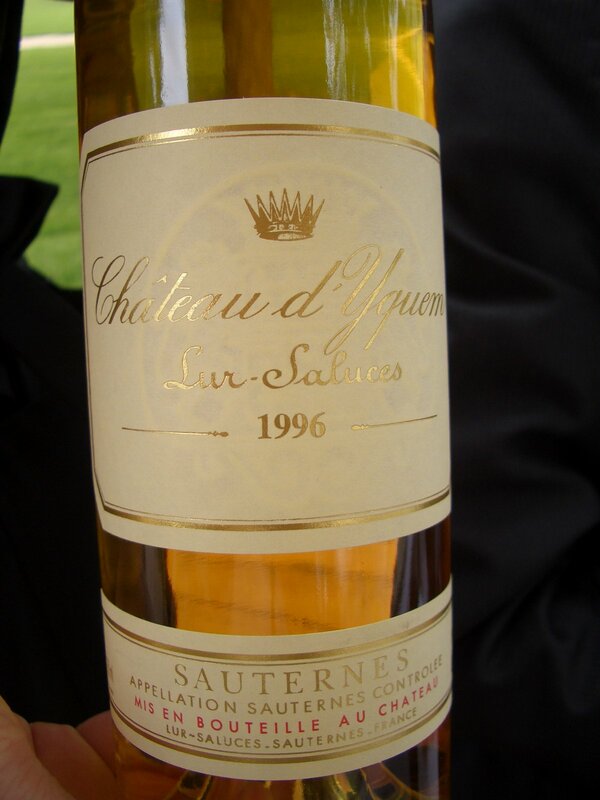 Pierre Lurton, the General Manager appointed by LVMH to supervise the property, is also looking over another luxury brand and Chateau from Sauternes: Chateau d’Yquem. 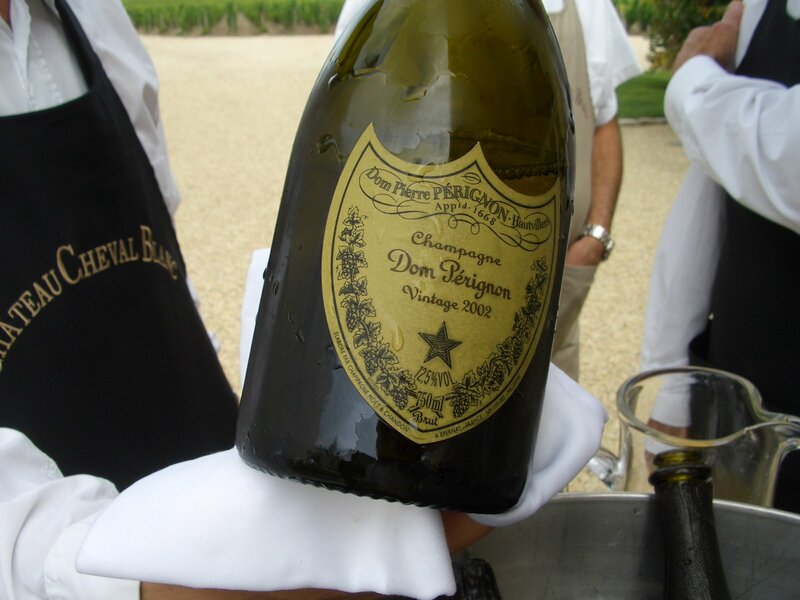 Dom Perignon 2002 was served with appetizers in the interior courtyard. 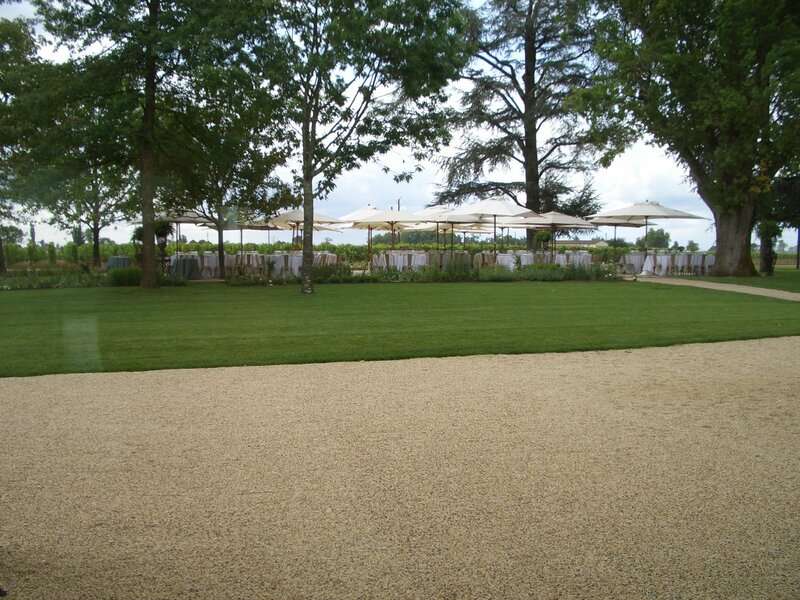 As guests kept on coming the tour of the winery was done in small groups with a guide. 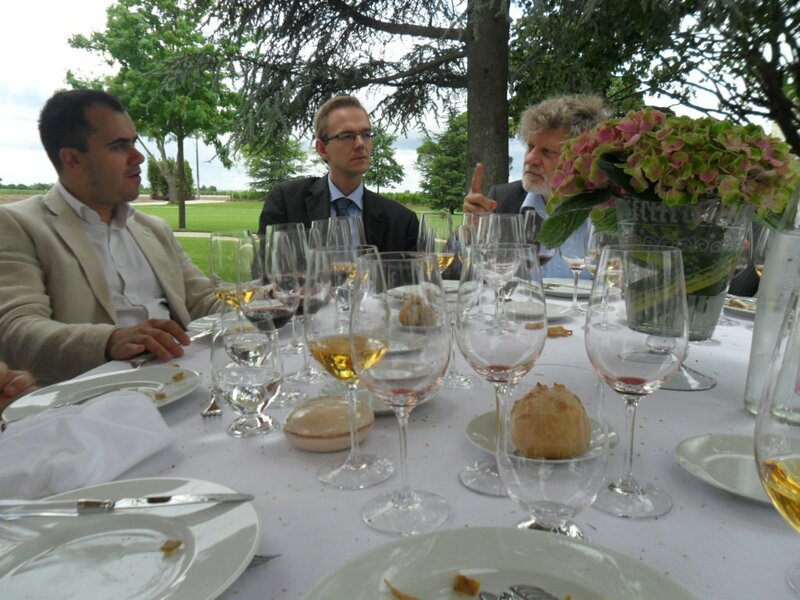 My group included Sebastian Zuccardi and Ruben Ruffo from the Argentinian Zuccardi winery. 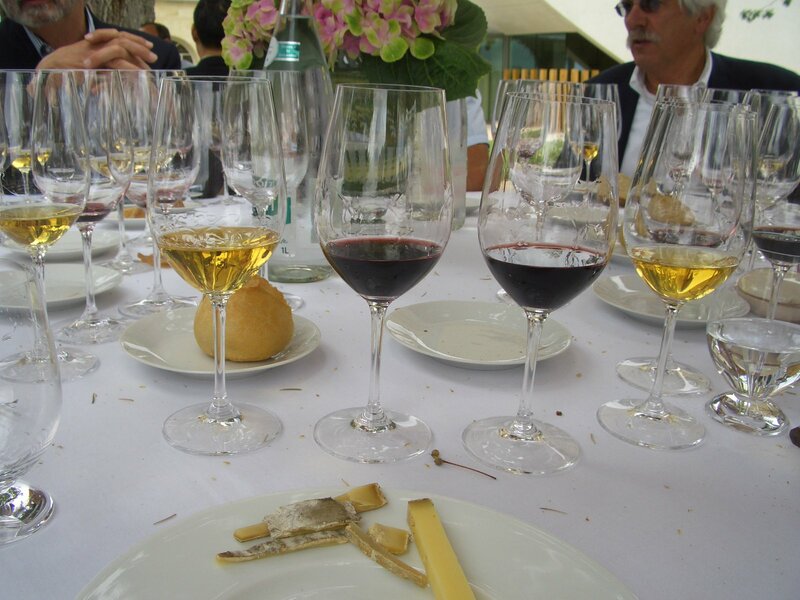 After the complete tour, we were invited to join the other guests and sit down at the tables arranged just next to the vineyards. 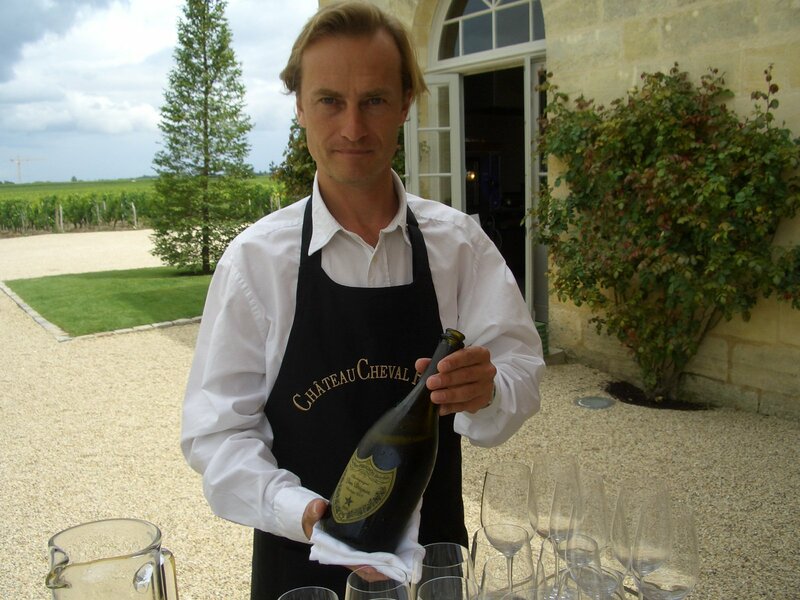 There were around 10 people seated at each table and one of the companions was Jean-Michel Deiss, who currently runs domain Marcel Deiss, and his son. A person with charming wit and healthy social beliefs. 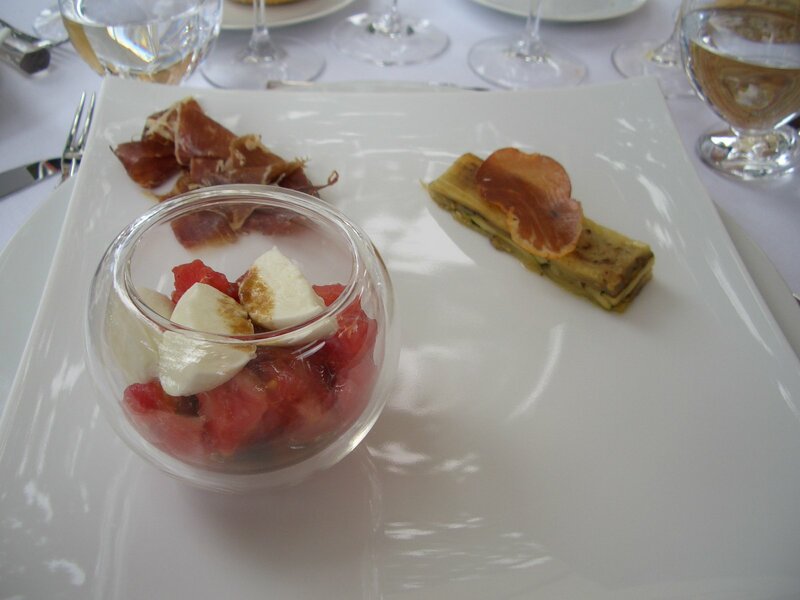 Lunch started with a cold dish with eggplants, tomatoes with mozzarella and balsamic vinegar and some type of prosciutto. 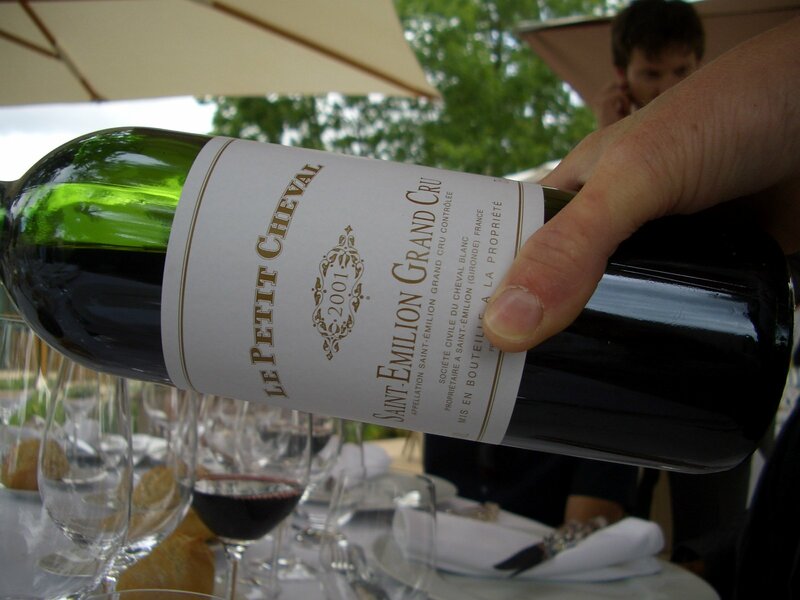 We had Le Petit Cheval 2001. 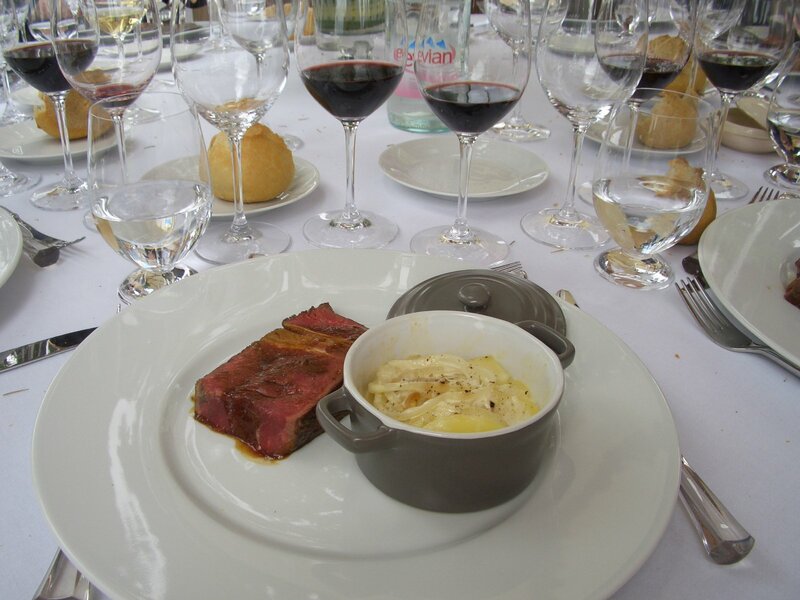 The main course was a juicy rare beef steak with a gratin of potatoes and onion on top. 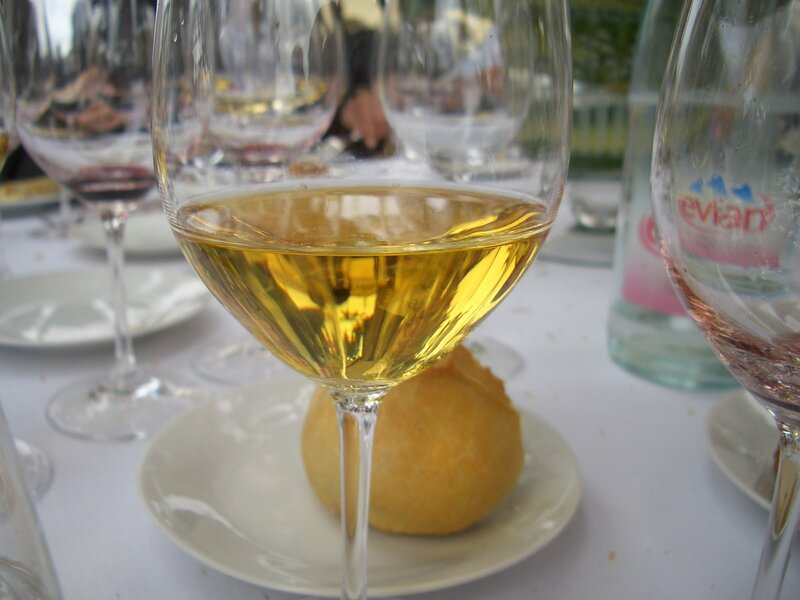 The main dish was served with a 2000 Chateau Cheval Blanc. 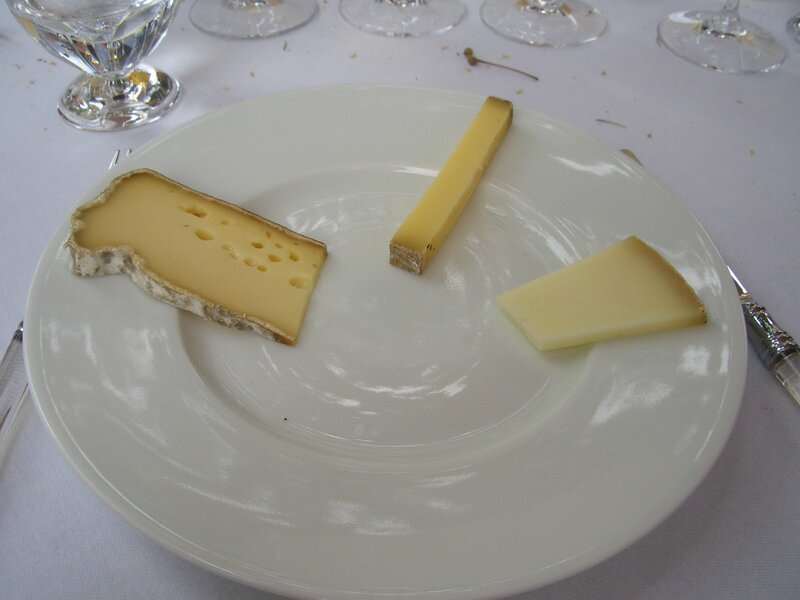 The cheese course and the dessert were served with a 1996 Chateau d’Yquem Sauternes. 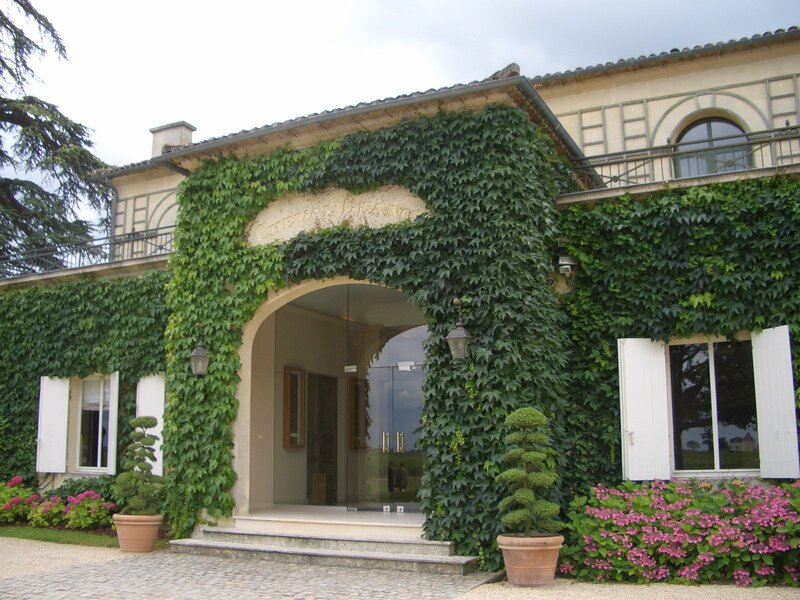 After such a great lunch with amazing wines and good conversation, really not eager to leave, I had to excuse myself and leave, as my 17:00 appointment at Petrus in Pomerol was due. It’s a terrible life. 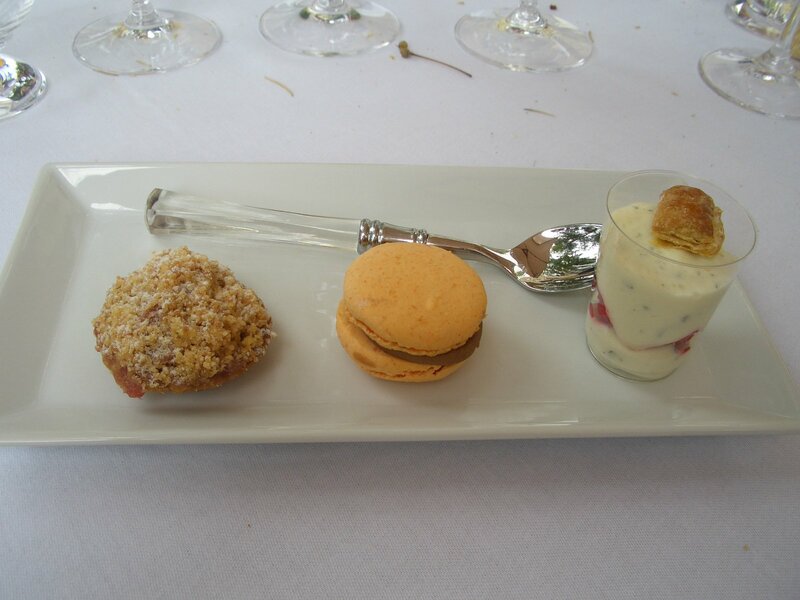 How did you arrange this lunch? Did you have a good contact or can it be done through an agency?